A proposal by DTE Energy to replace coal fired generation with natural gas gets regulator staff approval in a rut. Looks like DTE Energy is replacing the power plant equivalent of manual typewriters with a “greener” IBM Selectric. A proposal by Michigan utility DTE Energy to replace coal generated power plants with a natural gas fired one received seemingly grudging approval from the Michigan Public Service Commission (MPSC) staff in a first step toward getting approval by the Commission itself, despite voluminous objections from environmental, clean energy and other testifiers that numerous alternatives exist to delay or even eliminate the approved choice. This approval takes place while Michigan clean energy advocates are pushing for a ballot initiative of 30% renewable energy by 2030. This has become a pattern for some utilities, especially regulated monopolies like Duke Energy and the Tennessee Valley Authority, of acknowledging the need to go “green”, but merely lightening the brown (or gray) while showing tepid ambition to deploy solar and other forms renewable energy, energy efficiency and supportive technologies and strategies. This minute incrementalism increases environmental hazards, puts ratepayers at risk and even threatens the proposing utility’s long term financial health. The MPSC staff brief issued March 2nd seemingly reads like a parent telling a kid to clean the room, and winds up being resigned to accept the dirty clothes being shoved under an unmade bed. 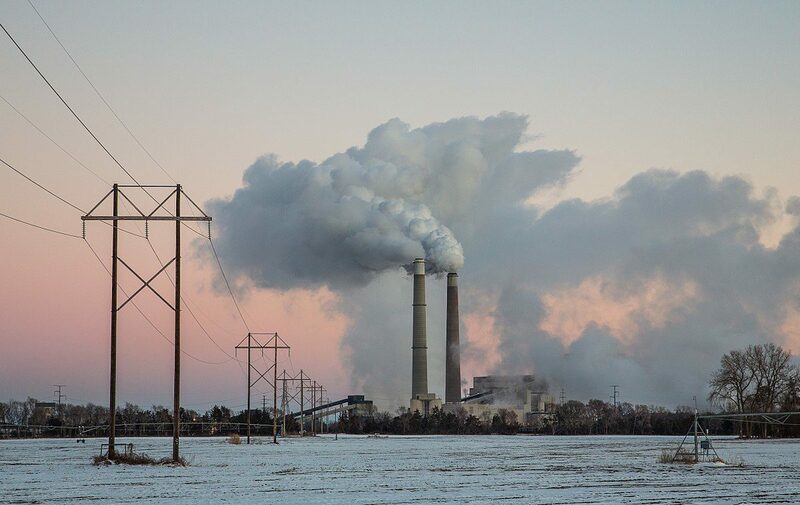 There was consensus to replace coal plants being fully retired between 2020 and 2030, originally over 3,300 megawatts (MW) of capacity, much of it already shut down. The DTE proposal is for an 1,100 MW combined cycle natural gas plant. On the surface, this appears a prudent proposal, with less capacity, less emissions and a reasonable cost of less than $1,000 a megawatt installed. Perhaps it would be a prudent proposal if made two or even one decade ago. The MPSC staff repeatedly raised the issue of DTE Energy’s lack of serious consideration of alternatives. However, as the proposal “minimally complied” with requirements under Michigan law and regulation, it was approved by the commission staff, if grudgingly. DTE Energy looked like they were stacking the deck every which way to make the natural gas plant the only viable choice. Of particular interest to the PV community is the issue of up to 570 MW of solar Public Utility Regulatory Policies Act (PURPA) eligible projects being held up for at least ten years to avoid paying a higher rate for the electricity. DTE made the strange claim that they don’t need the additional power in this timeframe, even as the company pushes its proposal for a gas plant to replace retiring coal plants. To add to this, solar’s levelized cost of electricity (LCOE) being over $20 per megawatt-hour cheaper than natural gas was essentially blown off, and power purchase agreements were analyzed only at an arbitrary limit of seven years. DTE’s argument for the seven-year limit was to claim that going beyond that would saddle the utility and ratepayers with unnecessarily “risky” obligations. Wind power was downgraded by DTE because the best accessible sites, the “Thumb” area, was considered unreliable due to local opposition, and other parts of the state had less capacity factor, hence would be more expensive. Hundreds of megawatts of potential or active demand response, energy waste reduction and related programs were ignored in the power plant need calculus. Importing hydro electricity from next door Ontario was considered too onerous. Emerging technologies like energy storage or blockchain were virtually ignored. The Company (DTE Energy) accounted for alternatives, such as its current demand response, load management, energy waste reduction and renewable energy portfolio, but is capable of much more. While minimally acceptable, Staff is concerned with DTE’s renewable energy and distributed energy portfolio and recommends that the Commission require the Company ramp up both programs. The future price risk of natural gas itself was minimized by DTE. Economics at $3-4/MMBTU looks good for natural gas generated power today, but what is the risk at $6-8/MMBTU, or higher, years down the road? The MPSC staff thought that future natural gas price risk was minimized by DTE Energy. Organizations like the Michigan Environmental Council, Michigan Energy Innovation Business Council, National Resources Defense Council, Sierra Club, Environmental Law and Policy Center, Vote Solar, Solar Energy Industries Association, Union of Concerned Scientists and the Ecology Center, along with other group and personal testifiers, urged the MPSC Staff to hold DTE Energy to the higher standards and have gone forward to urge the full Commission to reject the natural gas plant proposal. The question is whether the MPSC will consider a “C” grade proposal good enough. Well, hopefully, it will be DTE Energy’s shareholders that are left holding the bag in 5-10 years when this thing becomes an albatross and DTE wants the ratepayers to pay for the stranded asset.